Good news, I have finally tried Chikuhodo brushes and they are really good. Bad news, they are very difficult to get unless you live in Japan or have a friend or colleague traveling or working in Japan. 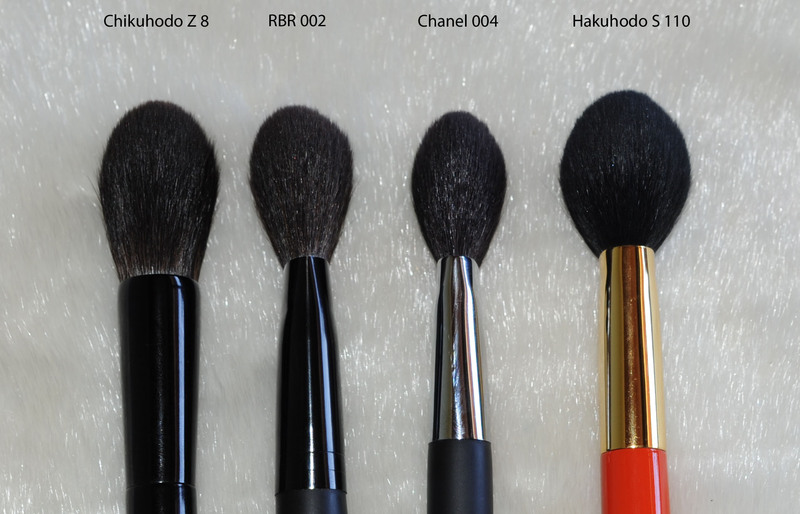 CHIKUHODO Co., Ltd. is a makeup brush manufacturer, which adopts traditional Japanese brush making style and is located in Kumano, Hiroshima prefecture. Receiving orders from many domestic and overseas client companies, CHIKUHODO has been engaging in manufacturing of all types of high-quality makeup brushes. Today CHIKUHODO has grown into the No.1 companyin original equipment manufacturing (OEM) of makeup brushes in Japan.We feel so grateful to many top-ranking makeup artists both inside and outside of Japan for giving us precious opinions and knowledge, which we feel has lead us to come so far as a high-quality makeup brush manufacturer. Why can they “receive order from overseas client companies” and not ship worldwide to clients like us ? I am not aware of their company regulations but Hakuhodo for example do ship worldwide to anyone. 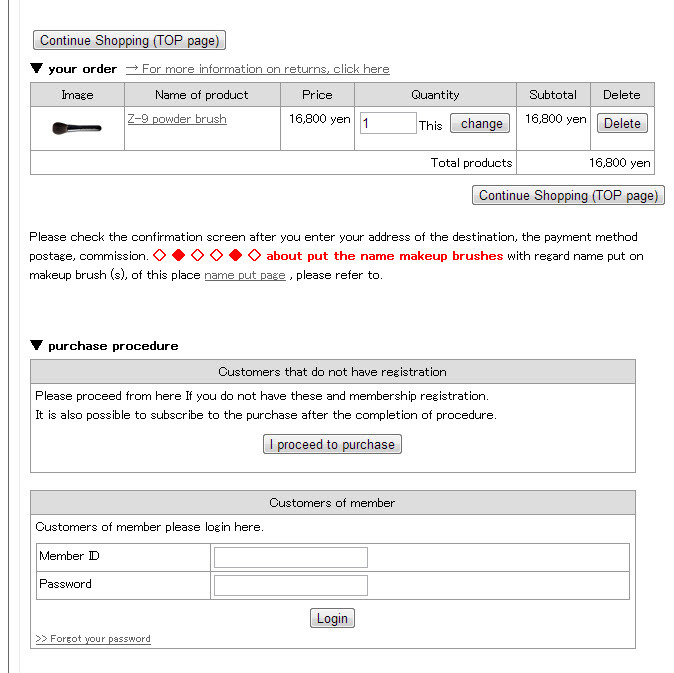 Chikuhodo say in their site that they are the manufacturers of Suqqu and RMK brushes, just to say a few. 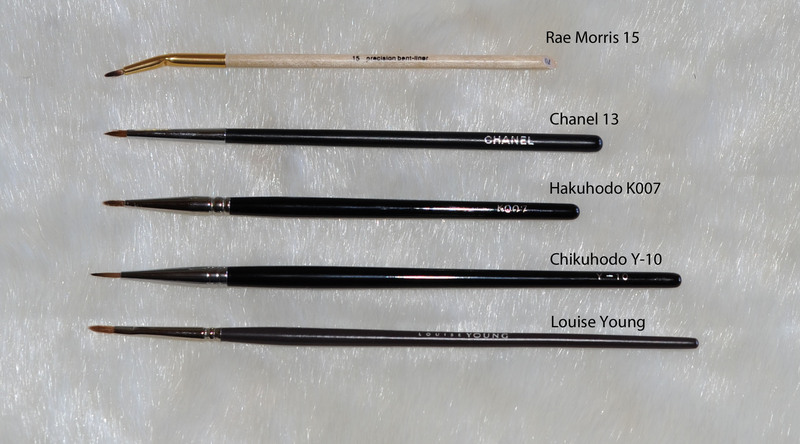 First I will talk about the Chikuhodo brushes I received, then, if you are interested in the order experience I had to go through, you can have a look at the bottom of this post for some details. The Chikuhodo website is in japanese, you have some pages in english. The online shop is only in Japanese. I found this page really useful to navigate and check out their type of brushes : Choose from the type of brush If you check out the brushes via this page, you will have the description of the brushes, size and hair. If you install Google Chrome as a web navigator, it will translate you the brush descriptions in english ! What I was trying to do when I selected these brushes, is order some brushes that would allow me to do my full face make up, and achieve it only with Chikuhodo brushes. Most of the brushes are goat and grey squirrel. I am still trying to translate what they are made of and will update this review with the detailed hair description. I still did not manage to get a correct translation… sorry. 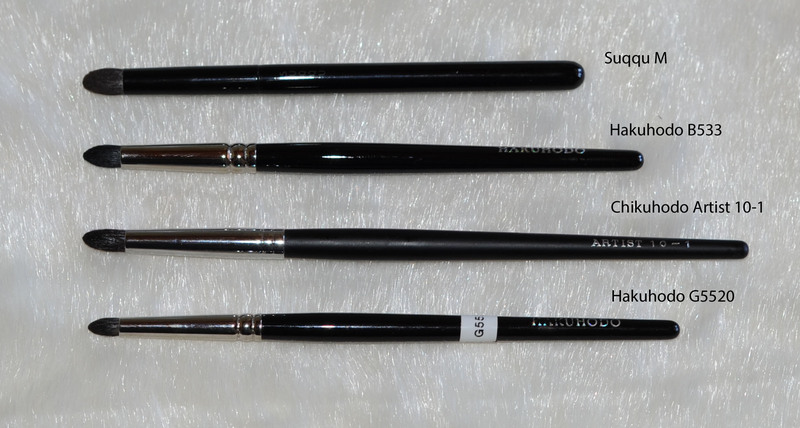 Unlike Hakuhodo, the names of the brushes are written on the handles. The Z series are only written “Eyeshadow brush” without the number engraved on them but they aren’t many in these series so it’s not really bothering me. I use the Hakuhodo G5520 every single day, it’s a HG brush for me, I thought this BL10-1 from Chikuhodo was very similar but it’s not. The BL10-1 is much bigger and not that pointy, more like a Mac 219 or the Suqqu M. I was just hoping it would be smaller so that I could have two similar brushes like the G5520. I use this BL10-1 for an application of eyeshadow on the lid or the crease, it’s really fantastic and picks more product than the Suqqu. I apply a Bobby Brown, a Mac or another similar gel eyeliner nearly every day. I need a few eye liner brushes so that I don’t need to wash them every single day. This brush delivers exactly the application I want but it’s “just” an eye liner brush, a good one though. I can easily draw a thin line, precise, it does not slide where I don’t want to, it does not hurt and I can hold it easily… I had never asked myself these questions but since I have tried the Rae Morris bent eye liner, that I don’t find easy to hold (too short, too light, too thin), now it’s something I also like to mention. This brush looks denser in the pictures but it’s more like a fan brush to me. Not dense at all, actually it looks like a paint brush for walls and when you wash it, it feels exactly like that. 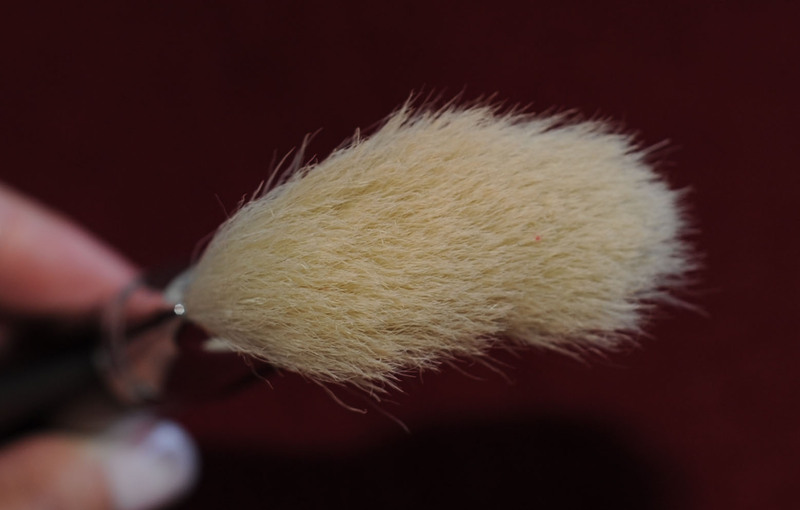 It’s a fun “fan” brush to me, but not one I would have purchased if I had seen it in person, unless you are looking for a brush exactly like that, I don’t really see a necessity in having this in your collection. You can use it for finishing or for highlighting but it’s sparse and not firm at all, you will not get precise application. It looks like the Shu Uemura, very similar. I have tried an application of a foundation base and it was perfectly nice. I have tried it with the application of foundation and I had to buff with another brush afterwards. The foundation application was streaky. You certainly could apply a very thin and precise concealer-foundation type of application on some zones but for the full face, it’s too time consuming for me. I don’t regret buying it because I use the Shu for the Tom Ford countouring cream every day and this one will come handy, I won’t need to wash the Shu all the time. 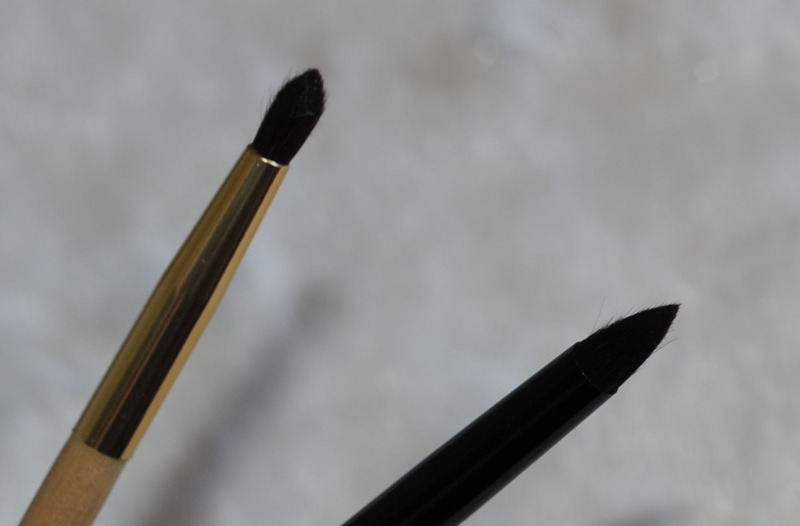 It’s a very nice brush for applying a base color on your eye, or a crease color but the application is light, I prefer a more dense and firm for a more “deep” wash of color but I still can see myself using this brush very often. It’s a bit like the Suqqu L but firmer and thinner. The Hakuhodo G5523 is her little sister, same shape, just smaller. Perfection. 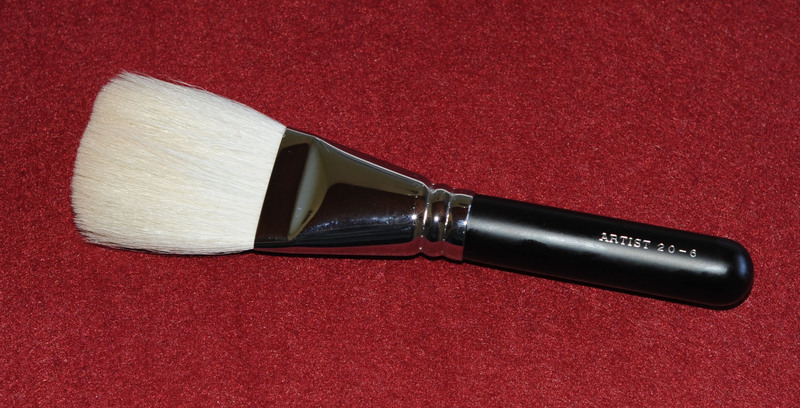 I have nothing like this one in my collection, it’s a fantastic brush, completely multi-purpose. It was really soft and fluffly when it arrived, I washed it and now it’s even looking better. It’s going to be in my HG for sure ! It’s something in between the Bobbi Brown and the Hakuhodo. A little bit similar to the Suqqu L, much firmer, denser and wider. The quality of the Z series is stunning. Great little gems. This one is what I hoped the Rae Morris would be. The Rae Morris is nice but I thought it was more pointy and firm. The Z-10 is extremely pointy and very firm, exactly what I was looking for. HG alert. Gasp. I read this one was amazing, it truly is. 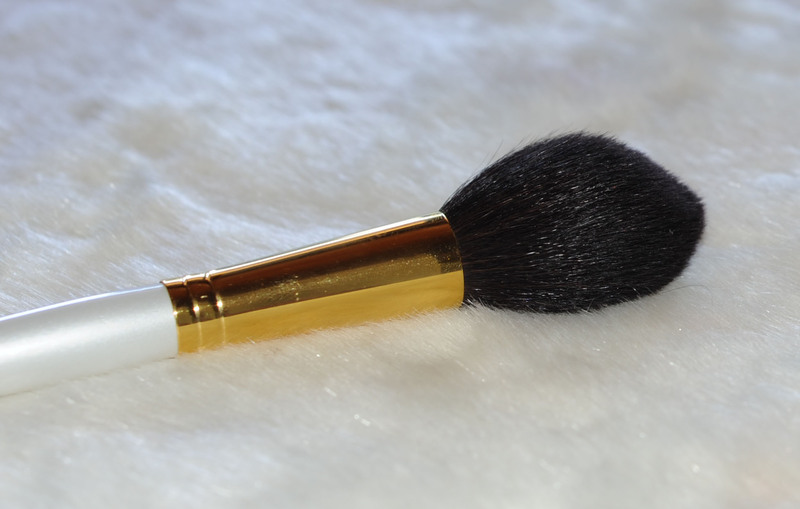 The best ever cheek brush. Perfect size, perfect density, so soft, so luxurious. I don’t own the Suqqu cheek brush, yet, so I cannot compare the two, but this Z-8 is quite a masterpiece. It’s grey squirrel, the hair are very dense, when I washed it late in the evening, it wasn’t dry in the morning… normal. Most of my blushes are very pigmented and I have a very heavy hand, with this brush the application couldn’t be more appropriate, it totally helps me to control my heavy hand. Re-gasp… I am in love with a brush ! I don’t recommend you going via a forwarding company, it worked, but when you have the language barrier, plus Chikuhodo cancelled the order when they realized it was a forwarding company, then I don’t know why but they did not cancel it anymore… then my credit card was debited twice, then they did not send me all the brushes… it was a pain. I have installed Google Chrome web navigator, it translates the pages automatically from Japanese to English when necessary but not all the text is translated, the text entered in image boxes can not be read by the system, therefore it’s kept in Japanese. You will have to play with it… and guess. You have to know what to enter and where… and even for the payment, you have to enter the credit card information a bit differently with other options, that I did not really understand 100%. 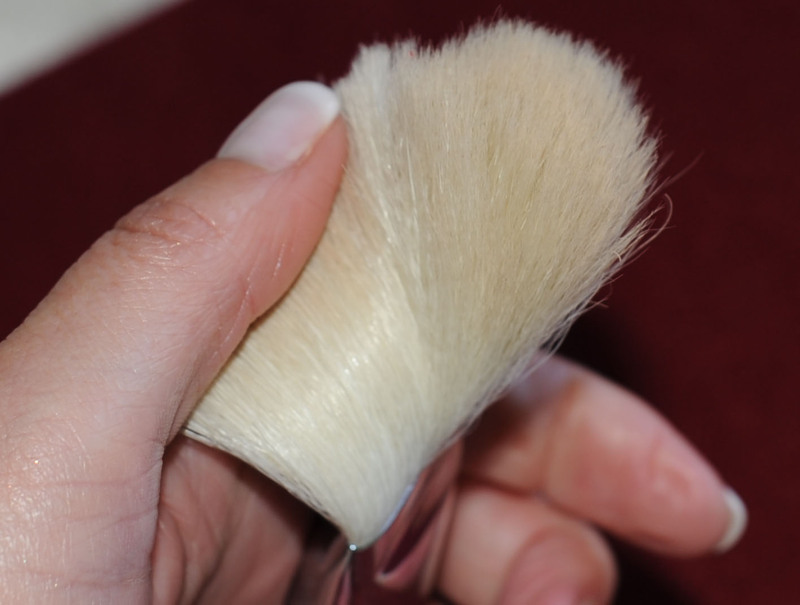 The brushes are great, they did not shed, only the big white Artist 20-6 shed tiny hairs but totally normal shedding. It’s so difficult to get your hands on them but if you have the possibility to try them, go ahead. I cannot say that Chikuhodo is better than Hakuhodo, I love Hakuhodo for all the amazing brushes they make, for the amazing customer service and for how easy it is to place an order with them or to get advice and information, Hakuhodo have a big place in my heart. Have you tried any other Japanese brush brand ? What do you think of them ? I will also be updating some more info about the brushes as soon as I will be able to have it translated from Japanese ! 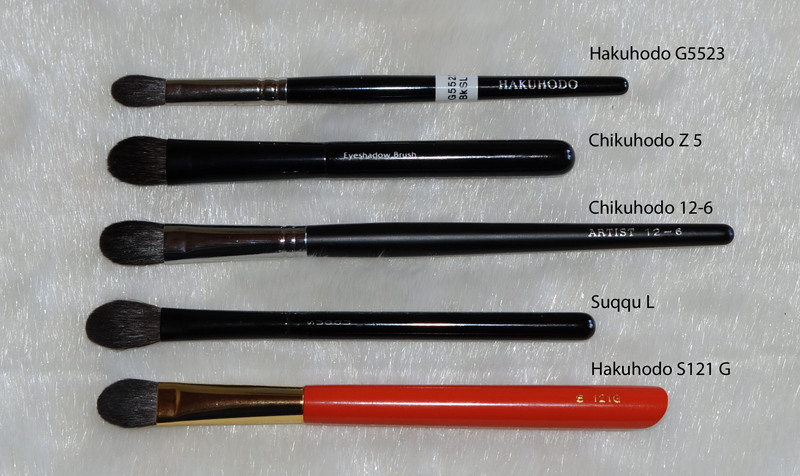 Chikuhodo – review of some amazing brushes was last modified: August 4th, 2013 by Sonia G.
The Jap brands in my ‘very small’ collections so far are Lunasol, RMK, and Hakuhodo. I find myself reaching frequently for Lunasol powder and cheek brushes. Like you, I have the Hakuhodo G5556-4mm for liquid foundation application which I like but I think I would prefer the Shiseido Perfect Foundation Brush slightly..
Japanese is certainly a fun and interesting language to learn ! I haven’t tried RMK or Lunasol brushes yet… I can’t wait, I will be visiting the RMK counter in two weeks in London, it will be the first time that I see them ! Did not try the Stila yet, but I do use the Shiseido for cream blush. I have a similar one to the Stila, your comment gave me an idea, I think I will try to use it for bronzer since it’s sitting in my drawer waiting… 😛 thank you for sharing ! How would you compare chikohudo vs wayne goss? This post must have eaten up your ENTIRE Saturday?! I’ve often considered using a Japanese forwarding company but I was never quite adventurous enough. What a nerve racking mission you went on to get your Chikuhodos! I’m sorry to hear that it doesn’t work as well as it should & I’m shocked to hear that Chikuhodo cancelled the order once they realised it had been placed by a forwarding company. That seems like a strange business philosophy to me but perhaps they’ve had problems with these companies before? I ordered most of my Chikuhodo brushes via e now-project. Their prices – even including a hefty customs duty plus tax if they get stopped – are STILL lower than Kohlindo.se . However I did place a small order with Kohlindo and received my brushes almost overnight. Super speedy service BUT the shipping fee is NOT added when you order & pay nor is there any mention of it. Instead, once you have ordered & paid they send you a mail requesting another +/- €15 for postage. I REALLY don’t appreciate those kind of hidden costs. same to you, enjoy your Sunday ! by the way, I was just watching the MotoGP in Germany 🙂 nice racing track you have there !! Your english is great, but I know what you mean about writing taking more time. I’m like that when it comes to writing in german! NO Moto GP for me!! Having lost two friends over the years to motobike accidents and one who is alive but seriously disabled I am not a fan. If my sons EVER want to own a bike they will have to leave home first. Thank you Dena ! 2 more weeks to wait and I will be at the Suqqu counter ! and I will meet you too 😀 can’t wait ! This post wil be a valuable reference to come back to! I will have to live through you when you visit the RMK counter! well, I had a very positive experience with kohlindo and even prices are higher and shipping costs are added later, I apreciated the customer service (I got an answer to my mails the same day and even on sunday! ), shipping is fast and everything was packed with care. Besides, they offer individual brushes from most of the series (except the SV series) so you don’t have to pay an entire set for the two or three brushes you really want. BOTH companies are making an excellent profit at our expense. Yay for them! Fantastic post!! I have a brush obsession too. I have’t used Japanese brushes before but really want to use them now. Buggsiebee: Im so sorry about the extra fee. We are making a new shop soon because I realized one day that when we had orders from other counties outside of Sweden the system in the web shop wasnt right. So now I have big problems with the fee for the postage. Again, Im so sorry. Hopefully the new shop will make the shopping easier and with NO mail that says that we have to put an fee for the postage. The fee will be in the system right away. I understand that you feel irritated. Im just happy to be able to sell the brushes. And I know we are a bit expensive. I had to make a choice when we started the shop: be a bit more expensive OR dont open the shop. Me and Peter took the first choice, we open the shop. 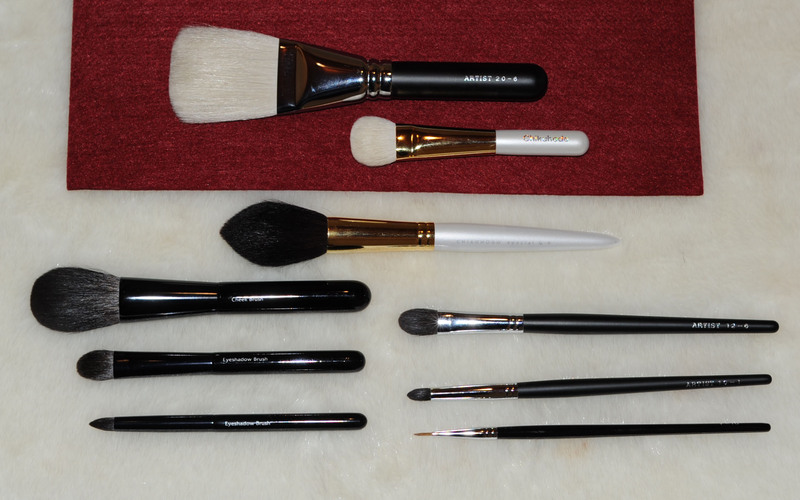 My goal is to spred the handcraft and the beautiful makeup brushes. I was sooo proud when Chikuhodo let us open the shop and I am still today. And I still get so so so happy every time I read about the brushes in a blog. I try to have a good service and everytime someone buy a brush Im so proud to be able to send it. So, yes I know about our prices. But the only choice I have if we must take a lower price is to close the shop. 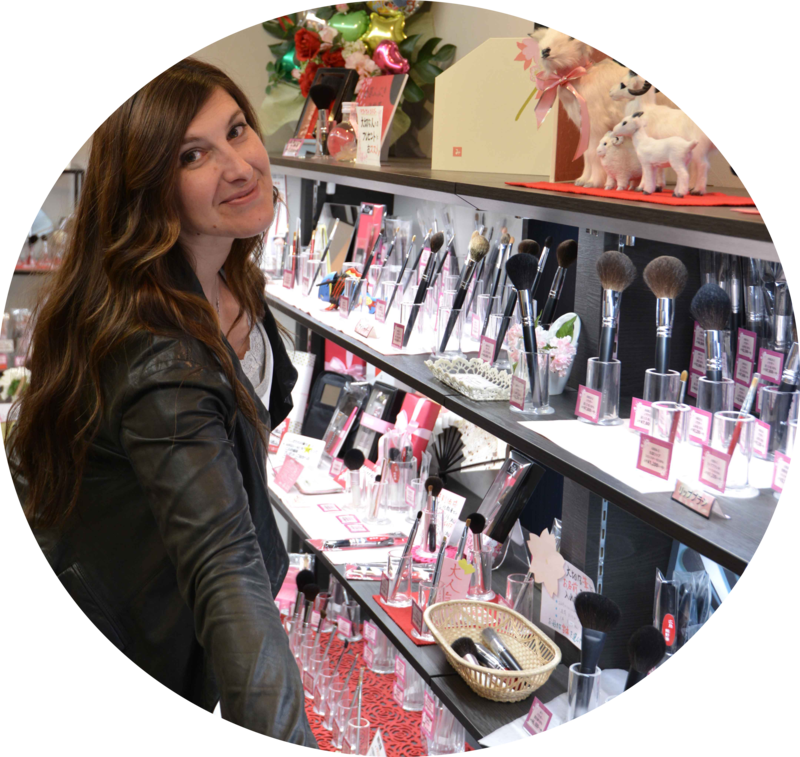 In our new shop I will put links to blogs that write about makeup and Chikuhodo. If you would like to be one of the please send me an e-mail: malin@kohlindo.se 🙂 I hope this can be a fun and interesting new thing for a web shop. nice of you to take an interest in what people think & to take the time to comment. Most companies these days don’t seem to care about their customer’s opinion at all. I was very happy with the super speedy postage & the lovely brushes & will certainly continue to visit your store now that I understand a bit of the background. There are always two sides to every story and I’m really happy that you used this blog to clear things. Im so happy that I had a chance to explain. I work everyday with Kohlindo trying to spread the beautiful handcraft Chikuhodo does. I try to do it with my heart and as I wrote its probably crazy that we have the shop…but I love Kohlindo and I love Chikuhodo. Me and Yumie (Japan) has been friends since we were 15 years old, we are today 39 years old 🙂 We have Kohlindo together with my sons father. Thats why I love Kohlindo so much. I try to do my best everyday and when I started to get orders from other countries I was sooooo happy. Everyone that place an order means a lot to me. I love the feeling when I have a chance to send a brush to someone knowing that they will have a real Fude in their hand. The handcraft is so beautiful. Thank you Gill for your understanding. It means a lot to me. I love that so much love goes into your shop, and I would be interested in shopping from Kohlindo. But when I visit the site it’s all in Swedish. Do you have an English site and do you ship Chikuhodo to the USA ? This would be so wonderful!!! And yes, we ship to USA. Listen to our customers are import. 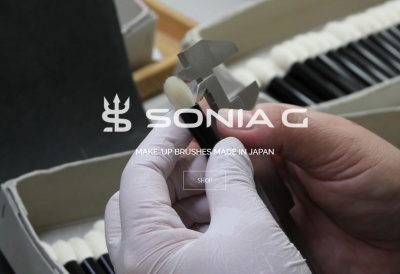 Our vision is to spread the handcraft of Chikuhodo and their beautiful Fude, makeup brushes. We have now been reviewed our pricelist in hope that more people will be able to experience the feeling of a makeup brush made of knowledge that goes from generation to generation. Thank you Malin, I will certainly place an order in the following weeks. Can you please let me know where I can find the shipping fees in your site ? I understand it’s free in Sueden but I am not sure I understood for Europe or the rest of the world. You are right, we havent written anywhere what the fees are. We are working on it now. The shipping fee for EU is 118 SEK. Outside of EU is 130 SEK. The VAT is 25 % in Sweden and orders in EU will have the same VAT if you dont have a valid VAT registration number. Maybe you have a company and then you can pay your VAT depending on which country you have your company in. The prices you see in the shop includes the swedish VAT. I placed an order for some Chikuhodo from Malin at Kohlindo on Tuesday late morning. They arrived this morning before I had even left for work! 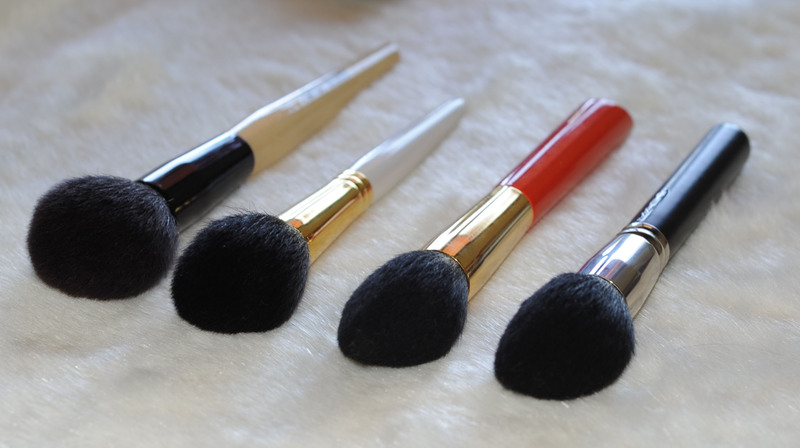 The brushes are incredible – so soft and beautifully made – and Malin was really helpful. If anyone is interested in Chikuhodo brushes, I highly recommend buying from Kohlindo. I am really loving them, they are extraordinary brushes. Which ones did you order ? I was very restrained! I ordered 2 brushes from the Black Artist Series: the 18-1 Sokoko Powder brush (as I wanted something that would distribute more powder than grey squirrel hair) and the 16-1 grey squirrel blusher brush, which is large and flat – kind of like a larger Hakuhodo 116 brush, but so unbelievably soft. I like it as its different from all my other blusher brushes. I also got the M-4 eyeshadow brush from the Professional Series. It is also grey squirrel, so it’s beautifully soft. 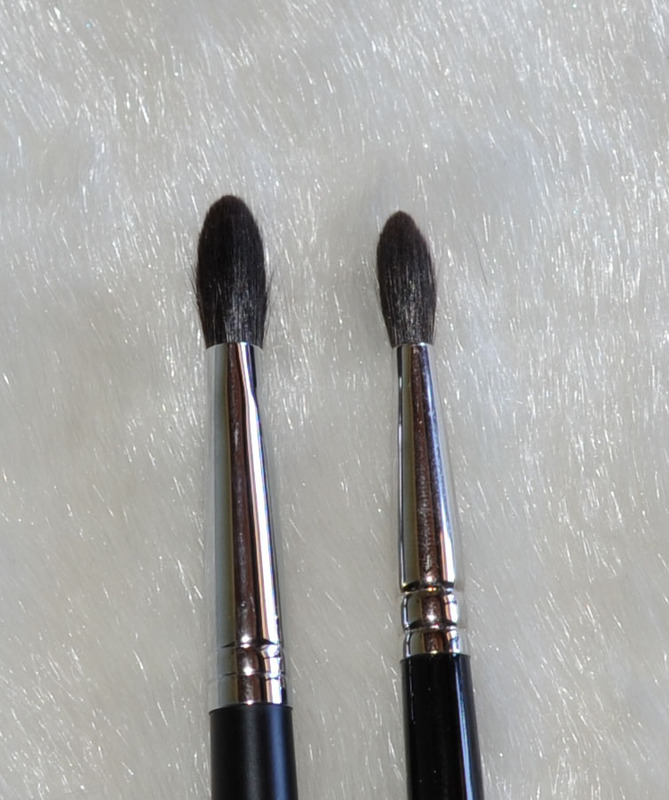 In size, it is somewhere between the Suqqu F and the Suqqu L brushes; less flat than the F, but not nearly as fluffy as the L. I think it will be versatile – I imagine I will be able to use it for a light wash of colour, as well as blending. I will be posting a review of these brushes as soon as I have sorted out my website. I can’t wait to read your review! I also have the M-4 and love it. Thank you for sharing 🙂 it’s good to know what you think of them ! I would love to read your reviews ! Have you seen MK-1 and MK-2? They are decorated with Kaga maki-e. Sooo beautiful brushes! 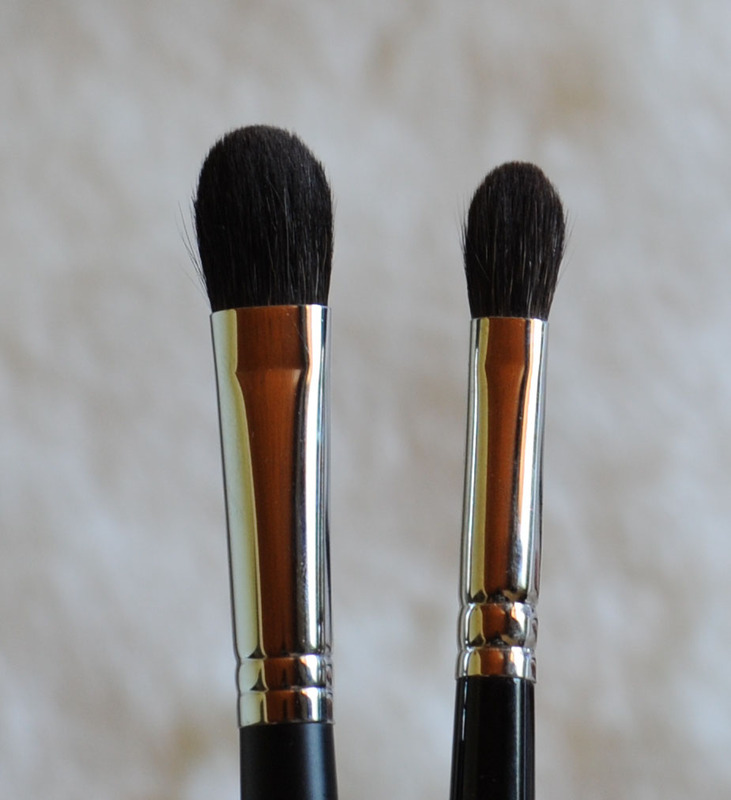 are these MK’s the same size brushes than the Z-1 ? Same hair quality ? it would be great if you could tell me..
Those 2 brushes are just exquisite! Sonia, I have a feeling that our next meeting is going to result in another shopping spree! By the way, I received the Rae Morris brushes, which I ordered more out of curiosity. I have to say, I absolutely love the 7 deluxe blender. It looks like the Hakuhodo G5522, but it performs differently. I used the RM on one eye and the G5522 on the other eye, and the results were quite different. I promise to blog about it soon! the MK-1 and MK-2 are more like Z-9 but a hair length that is 52 mm. The MK-1 and MK-2 has a hair length of 50 mm. They are made of 100% gray squirrel just like the Z-serie. And yes of course, I LOVE them 🙂 they are sooo soft just like the Z-series. If there is something in the Chikuhodo shop that you would like to buy and we dont have in the Kohlindo shop please let me know and I will try to buy them for you. The hair length of Z-9 is 52 mm. The hair length of MK-1 and MK-2 is 50 mm. Thank you Malin… I have to seriously think about them 🙂 I am soooo loving the Z Series !!! I have been reading all about your brushes and I appreciate your knowledge and take pleasure in reading about how much you adore them. I am looking to replace the 138 since I’ve been spoiled by all my Hakuhodo brushes. I’m looking for a blush/bronzer/powder brush that is soft, dense and the hairs to be more evenly distributed than the 138. Would the Chikuhodo GS-9 be a good replacement? Or do you think that I should get the Chikuhodo Z-1/Z-2? I know you like the Z-8 for the same versatility, but I prefer a conical shape to the brush. oh yes, the GS-9 is a fantastic brush, fluffy, soft and pointy but I think much wider than the 138, I will check that tonight when I am back home and will let you know. The z-2 is much smaller and the Z-1 is a bit too dense and firm for a bronzer application but let me come back to you with some more details soon ! I do have the 138 so I might be able to compare them a bit better for you. Talk soon ! I was just comparing the two brushes, the Mac 138 and the chikuhodo GS-9, the GS-9 is softer, wider (will cover more surface) and you will have a more diffused application, I do prefer it but the Mac 138 is very nice too. The Z-1 is a bit shaped like a round ball, it’s firmer and denser than these two but it’s also softer, again the GS-9 would deliver a more diffused application than the Z-1. The GS-9 is quite unique since it has a point… The Z-2 is definitely too small for bronzer unless it’s contouring. Is this answering your questions ? please let me know.. Thank you for the comparison, Sonia! What I gather from your comparison is that the Mac 138 is quite a unique shape and size; therefore, the GS-9 or Z-series brushes aren’t that similar. If only the Z-2 were a little bit bigger… 🙂 I know that Hakuhodo makes the B103 and S103 that are very similar, but I was just wondering how the Chikuhodo brushes compare. I just read your post on the overview of makeup brushes and it was so thorough. It was informational for new and experienced brush owners. 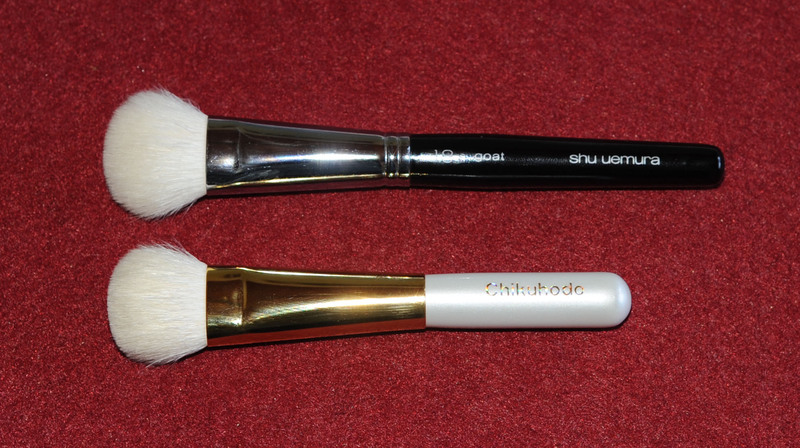 Hi Sonia, I had been looking for Chikuhodo brushes for quite a while and finally have them thanks to this post! I ordered from Kohlindo in Sweden as both the brush and shipping prices quoted by the US based Now-eproject were much higher. The prices shown on the Kohlindo website include the VAT which I didn’t have to pay as I live in the US. Although the Kohlindo website is not in English, I used Google Translate and had no problems. The service was efficient and I couldn’t be happier! Great! I am also really happy to have found Kohlindo, same for me about the VAT, I am thrilled that it’s so easy to get them thanks to Malin ! These brushes are gorgeous! I own the suqqus and the chikuhodo z series — and although they are AHmazing!! — I must caution people who might be interested in purchasing them that the only bad thing I’ve found about the brushes is that the ferrules (where the metal meets the brush hairs) are a little fragile. The metal is not as thick as the ferrules on a mac or hakuhodo brush. I dropped my suqqu and chikuhodo brushes (on hardwood floors) from my dresser (or sometimes they fall out of my hand when i’m switching from brush to brush) — and some of the ferrules dented. 🙁 the shape of the brush changes because of the dent. Although it’s a tiny dent — it’s such a pity that they are sooo fragile. So if you’re clumsy like me — just beware of the fragility of the ferrules. Ok thank you Annie ! my TF bronzer fall and has a little dent but at the end of the handle so no harm for the hair shape at least ! hmmm I can see it further down… can you ? 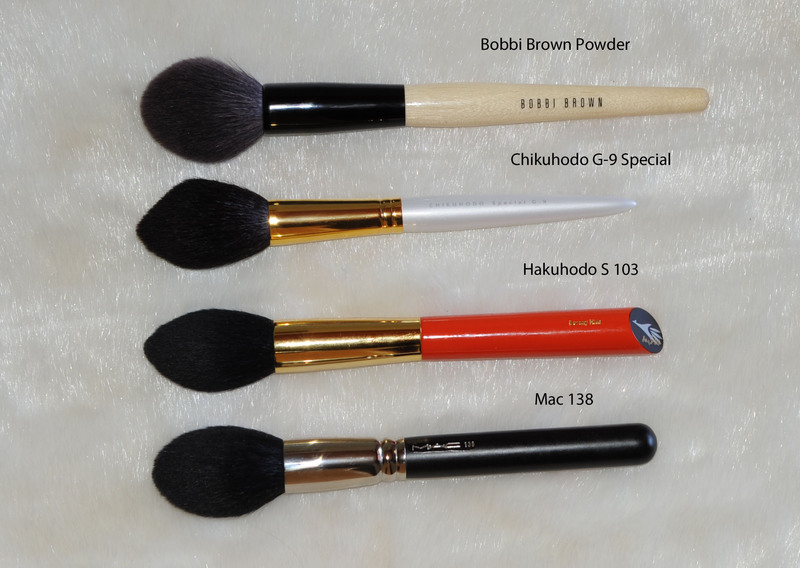 I’ve been wanting the Chikuhodo Special g-9 brush for AGES but I haven’t been able to find it anywhere! I’ve emailed peter at kohlindo but he hasn’t yet gotten back to me. However it isn’t on their site nor on the Chikuhodo site and so I’m assuming it’s no longer being sold. Do you have a link for where I can find it? If not, do you know of another brush that would be a good replacement? it looks to be the same hair length (5cm), same exact shape but a different name since a different handle. Thanks so much for your help! I think I’ll use Tenso and purchase this brush directly from their site! One other question I have is that I can’t decide between the tanseido ysq-17, yaq-17 or ysc 17. I have the suqqu blush brush and the koyudo red squirrel on the way and I just want another high quality blush brush so I can wash them less frequently. Which one do you think would be best? Hi Nana, great brushes !! I would definitely pick the YSC 17 🙂 a different shape there, different application and such a big favorite! I knew it! Lol. Thank you for all your help, I will be ordering the items soon! Firstly,thank you for the helpful information. 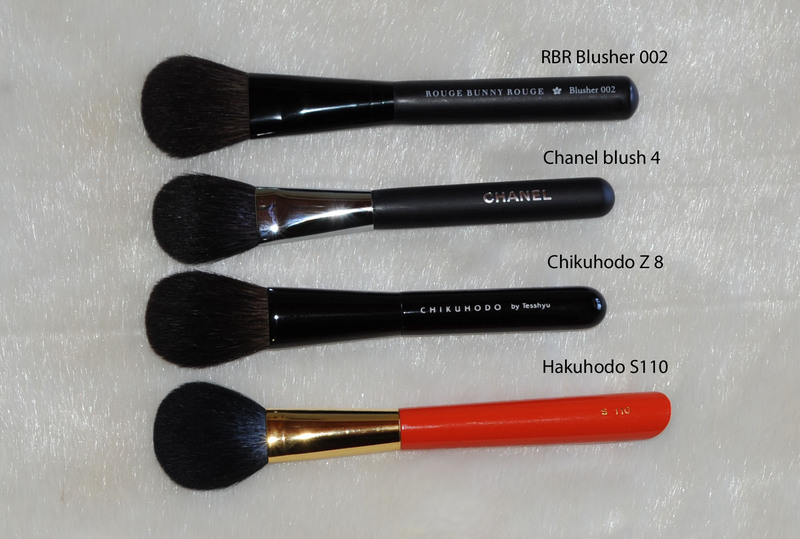 I have plan to go to japan soon, so I would like to get my hand on few chikuhodo brush? Would you know where I can get them, please? Ah i see, actually I’m torn between Chikuhodo G-10 and Koyudo BP014, can you help me recommend which one I should get for my first brush from the Japanese brush? I’m looking for a multitask brush but preferably for powder use for now? Also considering my budget, I’m picking those two options for now, your reply will be very helpful to me 🙂 thank you so much beforehand. Unfortunately it’s similar so you’ll have the same issue. If you want, I will see what I can recommend you for that budget, do you necessarily want it white ? Do you want something for blush/contour/powder ? for approx 30$ ? correct ? are you going to use it with liquids/creams ? Yes for now anything for powder product, whether it’s blush or contour or highlight. Yes around $30ish, correct. Maybe liquid, but not cream since I don’t own any cream product. I am trying to find something, I think the best you can find at that budget is the BP016 from koyudo, here is the link: http://www.cdjapan.co.jp/product/NEOKUD-201 it’s 36$. It’s difficult to have a blush brush act as foundation application, but that BP016 is the most multipurpose for bronzer, powder, blush, you could use with cream blush but for that purpose, thicker bristles are even better. Anyway, hope that helps you… this brush is a true gem for the price. Thank you so much for your recommendation! It helps me a lot, sorry for troubling you. 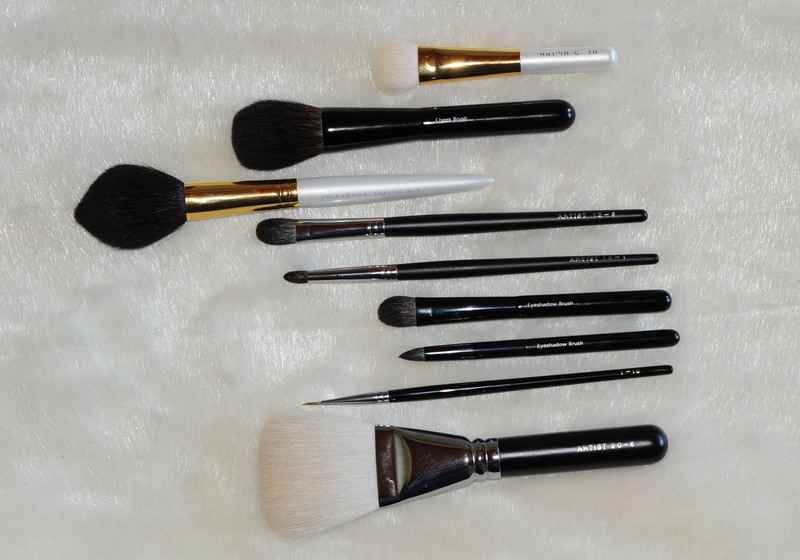 You can now get Chikuhodo brushes from Beautylish. I own from many several brands, but nothing from them. After reading your review, I am considering the Z-10 (although is currently awaiting stock in Beautylish) and the GSN-6 for liquid foundation. Amazing review! !